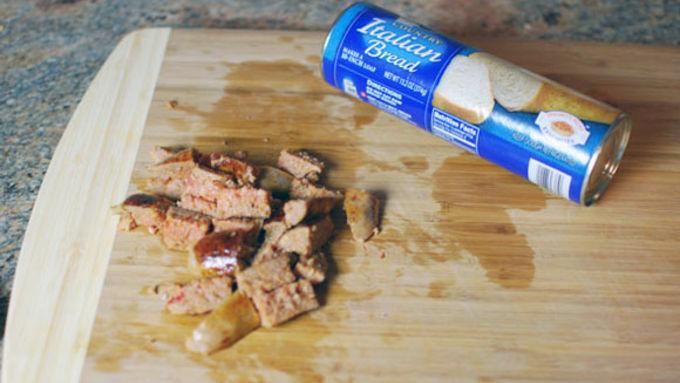 Cook the sausages and cut them into small chunks. 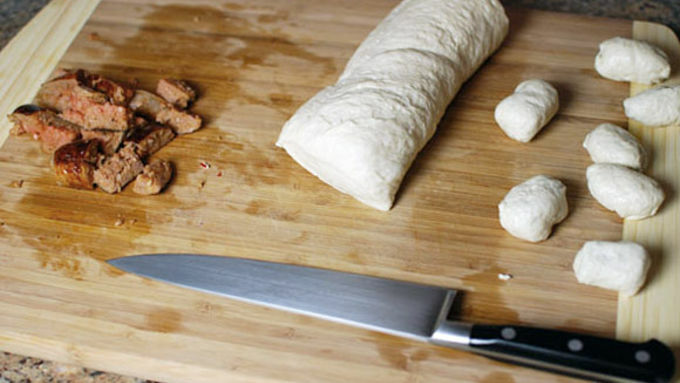 Take small pieces of dough and wrap around the sausage chunks. Be sure to seal the dough well or it will come apart while boiling. Bring a pot of water to boil. Add the baking soda. 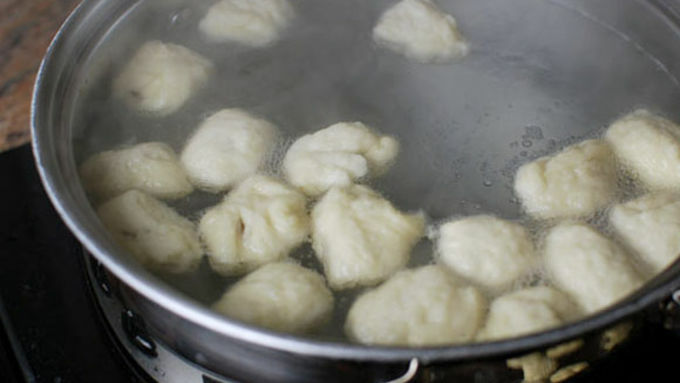 Boil the bites for about 1 minute. Strain and place on a baking sheet. 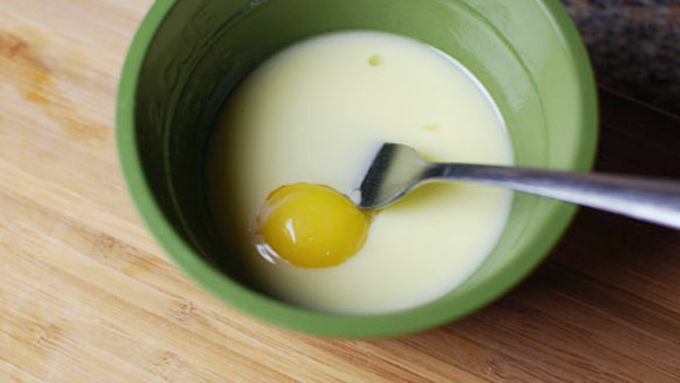 Melt the butter and whisk with the egg. 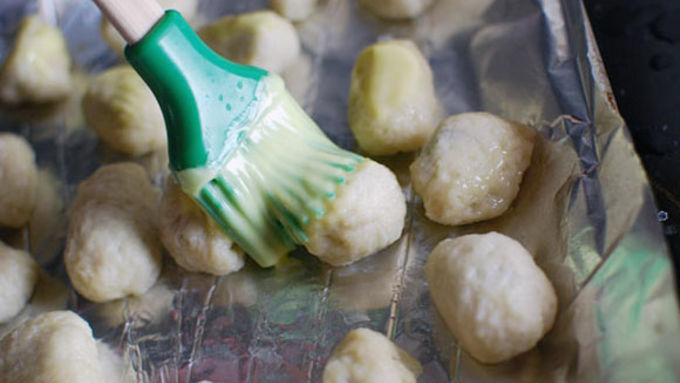 Brush the egg/butter wash onto the bites. Bake at 425°F for about 12 to 15 minutes until browned. Serve with honey mustard. I love making pretzels, but sometimes it can be a lot of effort. Kneading, and rising, and kneading, and rising, and boiling and baking. I set out this past weekend to try and find a pretzel dough shortcut. 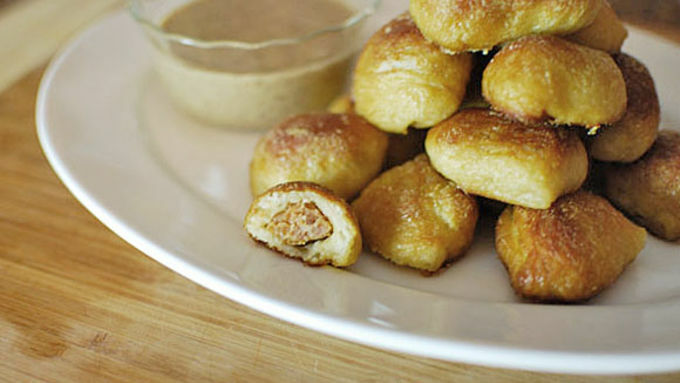 While these sausage pretzel bites weren't a perfect pretzel, they came very close with much less work. My friends and I devoured these while hanging out on a Sunday afternoon. Compared to a normal soft pretzel, these were not as dense and slightly more greasy, but they still were quite delicious. 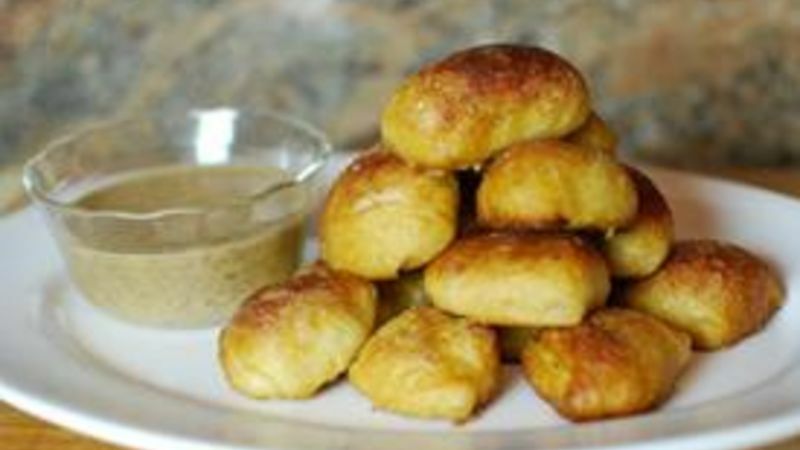 Whether it's movie night, snack time, or game day, these pretzel recipes are great for any occasion.